Mr Mohapatra is one of the pioneer architects in the state of Odisha. He is an alumni of Sir J.J. College of Architecture,Mumbai. He launched his firm Engineers Combine in the late 1960s and started the first private Architecture college in eastern India in early 90s with an aspiration to increase the regions skill availability in this area. He started Piloo Modi college of Architecture in 1993 and Ajay Binay Institute of Technology in 1998 with a intent to broaden reach of technical education to rural odisha. Today, ABIT boasts of students from far off corners of the state. He is the ex-President of Council of Architecture, India. He has been a member of the executive committee of Council of Architecture (COA) for over a decade and member of Indian Institute of architects (IIA). He has served as the chairperson of Council of Architecture, India for 15 years. 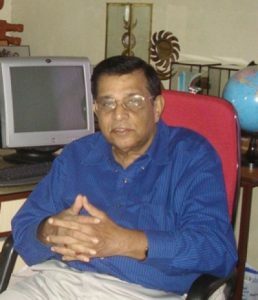 Dr. Mishra was a physicist with a doctorate in Plasma Physics from Utkal university, Odisha. She had over 30 years experience in teaching. 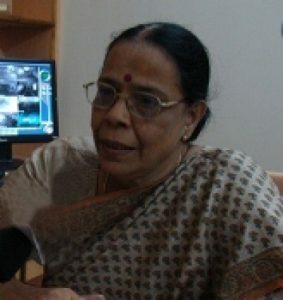 She retired from Ravenshaw University as reader in physics, prior to taking on the role of Director-Academics at ABIT. She was responsible for Academic Administration activities at the institute. With her long experience in the same area, she brought in a system of fairness and integrity in engineering education through the last decade. © 2018 ABIT Group of Institutions. All rights reserved.